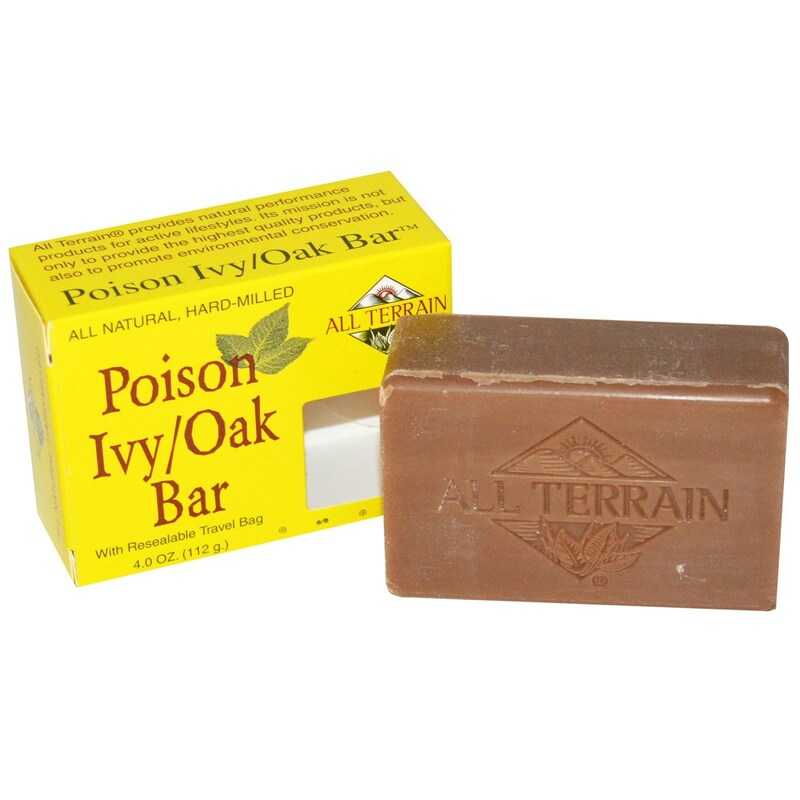 The All Terrain Poison Ivy/Oak Soap Bar is designed for itch from being outdoors. Notes: Non-gmo. All natural. Hard milled. Includes resealable travel bag. 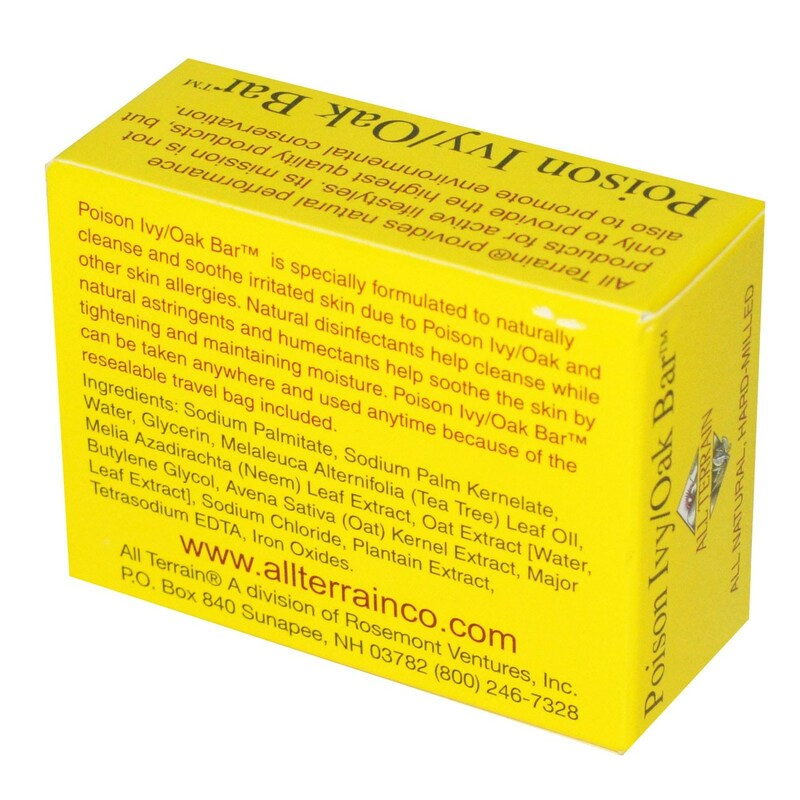 Ingredients: Sodium palmitate, sodium palm kernelate, water, glycerin, melaleuca alternifolia (tea tree) leaf oil, melia azadirachta (neem) leaf extract, oat extract [water, butylene glycol, avena sativa (oat) kernel extract, major leaf extract], sodium chloride, plantain extract, tetrasodium EDTA, iron oxides. Recommended Use: Wash with bar. Safe for unaffected skin as well.